William Sutherland is the doctor who developed Cranial Osteopathy. In 1970, Dr Upledger discovered the regular movement of a dural tube (the membrane which surrounds and protects the spinal cord) while performing neck surgery. His constant investigations and research revealed very effective healing processes even though there was minimal scientific evidence of the results. While working with a team of scientists at Michigan State Univeristy, he was able to understand some key features of cranial osteopathy and connected them to conditions related to the head which caused issues elsewhere in the body. Many structures make up our posture and therefore the body’s function. CranioSacral therapy focuses on the head and vertebral column . The neurological system, connective tissue and membranes all together make up the craniosacral system which works on deep structures affecting pain, coordination, the heart, endocrine system, respiration and digestion. It’s a very relaxing non invasive therapy. It addresses spine related issues, headaches and TMJ to name a few. The bite and the tempro-mandibular joint are often dysfunctional from lack of symmetry, restrictions or other imbalances throughout the body which later affect the cranio-sacral rhythm. Over the years, dentists have started recommending cranio-sacral therapy to resolve bite related conditions with children and adults. CST is a gentle, non-invasive light pressure technique. The therapist examines the body for movement through different parts, reducing restrictions so the system can correct itself. Dr Sutherland discovered a rhythmic movement which evaluates the health of the cranial system. This system is used by cranio-sacral therapists as an indicator of free mobility of connective tissues which helps to create vitality and symmetry throughout the body. 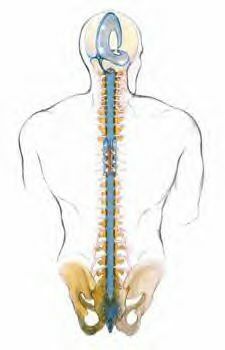 Therapists are trained to evalute through subtle techniques to locate and identify dysfunctions in the spinal cord, restrictions in areas that support the brain and to know tissue change anywhere in the body. – During pregnancy, helping the body to adapt to the changes and normalise hormonal imbalance. – Helpful on children, infants and newborns to resolve issues during birth which could impede normal growth and future developmental problems. migraine headaches, traumatic brain and spinal cord injuries, chronic neck and back pain, emotional difficulties, motor co-ordination, stress or tension-related problems, central nervous system disorders, TMJ, orthopaedic problems, chronic fatigue, autism, learning disabilities, and other connective tissue disorders. SER identifies and releases energy cysts accumulated in the body from unresolved issues. These issues can play a major role in inhibiting physical health. SER works with images and dialogue and depends on CST techniques for the release of emotions.